The Gospel Quartet Series is proud to announce the addition of Meant By God to the March 24 TGQS showcase at The Kroc Center. 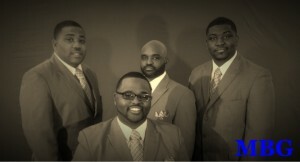 Meant by God was voted the Best New Quartet in the mid-south by TGQS. Meant By God has said they “are excited to be on stage at such an important showcase.” TGQS is just as excited about the first showcase of 2013. Join us March 24 at the Kroc Center at 6 p.m. featuring Pastor Tim Rogers and the Fellas, Perfection and Meant By God. Tickets go on sale next week. I count it a blessing to be a part of such an event. I hope and pray that everyone that attend this night of worship be blessed!!! This is a blessing and we as “Meant By God” will like to thank everyone. To the Jollyaires and Mr. James Stokes thanks for the opportunity we can’t wait to be a part of this concert.